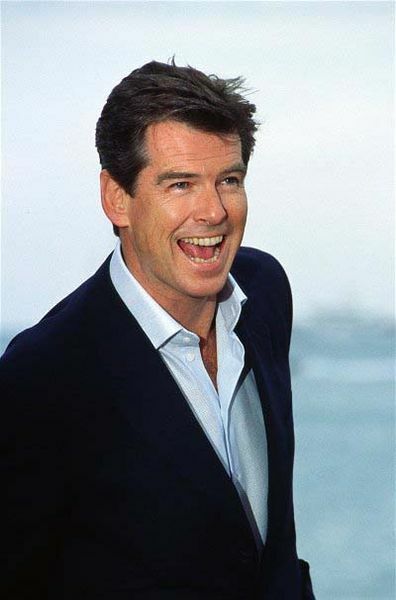 Pierce Brosnan, known much better as 007 or James Bond, was born in Navan, County Meath, Ireland on May 16, 1953. His father, Thomas Brosnan, left him and his mother so lived with his grandparents until he was 11 years old, when he was reunited with his mother in England. Here Brosnan experienced something that would change his life he saw his first movie, a James Bond film, Goldfinger. Brosnan’s reunion with his mother was short lived. He dropped out of school at 15 to start his life. 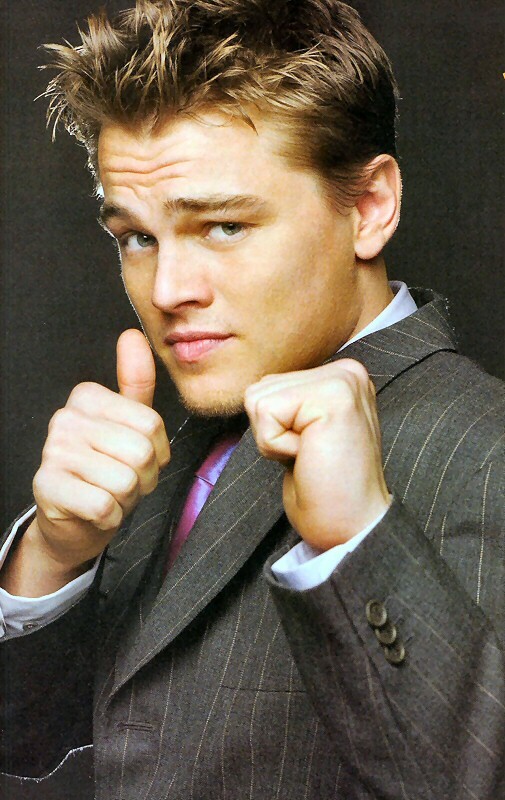 He tried his luck as a fire-eater, then trained as a commercial illustrator, and finally an actor. He studied for three years at the Drama Center of London. Once trained he went on to work behind the scenes in various productions and then to triumph on the London stage, most notably in Filumena and Tennessee William’s The Red Devil Battery Sign. In 1981, Brosnan got his big break: starring in the miniseries The Manions of America. Even though the movie didn’t earn big reviews, it was a hit in America. In 1981, Brosnan packed up and headed to the US, where he had heard about auditions for detective-drama TV series. He quickly won the role, and was cast as the title character in NBC’s Remington Steele. The series became a hit and Brosnan a star. During its fourth season, ratings for the show dropped. NBC canceled the show, only to renew it when he was offered the much-coveted role of James Bond, killing Brosnan’s chances at playing one of the most famous secret agents. Six episodes later the series was cancelled yet again, but the actor’s chances to play Bond had already been shot. As Brosnan pursued a career in movies, first with Nomad’s in 1986 and then 1987’s the Fourth Protocol, his first Bond film, GoldenEye, grossed over $350 million worldwide, more than any other Bond film to that point. His 2nd Bond film, 1997’s Tomorrow Never Dies, grossed more money in the US than GoldenEye. Together, his first 4 Bond films have grossed over $1.6 billion worldwide. Aside from the Bond and Steele roles, Pierce has had a varied and extensive film and TV career, playing roles ranging from archeologists to assassins, from Chris Columbus’ comedies to Merchant Ivory’s costume dramas. He was nominated for a Golden Globe Award in 1984 for his portrayal of Robert Gould Shaw in the BBC/Masterpiece Theatre production of Nancy Astor. He was honored with a star on the Hollywood Walk of Fame in December 1997 (star #2099), which can be found at 7021 Hollywood Blvd. In his spare time, he is an painter. He has 3 children with Cassandra (his 1st wife, a “Bond girl” herself), Sean (b. 1983) and stepchildren Charlotte (b. 1971) and Christopher (b. 1972); and 2 sons, Dylan Thomas (b. 1997) and Paris Beckett (b. 2001), with his 2nd wife, former TV correspondent/soap actress Keely Shaye Smith, whom he married in August 2001. He has also been active in cancer fund-raising and supporting environmental causes. He was awarded an honorary OBE by the British government for his film and charitable work in July 2003. Check out the ASCII Art of Pierce Brosnan in the Link Below. Use LUCIDA CONSOLE FONT for viewing art in notepad. Before viewing the art in notepad Just UNCHECK the WORD WRAP in FORMAT.Use font size of 3 to 4 pt. Kamal Hassan’s affinity towards and excellence in the performing arts was evident even as a child, when he won his first National Film Award. He has since then stepped into the shoes of a Bharthnatyam dancer, actor, screenplay writer, director, lyricist, playback singer and known to play multiple roles in a single film – all of which command an applause. Kamal Hassan was born into an Iyengar family on the 7th November 1954 in Paramakudi in Tamil Nadu. His father Srinivasan practiced law and his mother is Rajalakshmi. His brothers Charu and Chandra also carry the surname Hassan owing to their father’s friendship with a man named Hassan. Hassan was married to classical dancer Vani Ganapathi in 1978. They parted ways in 1988. He then married the actress Sarika with whom he had two daughters Akshara and Shruthi, the latter is all set to make her mark as an actress. The marriage with Sarika broke up in 2002. He is rumoured to be living with Gouthami, a well-known actress.He is a recipient of the Padma Shri award in 1990. 1960 Kamal Hassan, made his debut in 1960, when he was six years old, in the Tamil film Kalathur Kannamma. He won the National Film Award for Best Child Artist, the first of his four National Awards. He acted in atleast five other films as a child. 1970-1979 When he came back to films again in 1972, he played second fiddle to leading stars like in Arangetram and Sollathan Ninaikkiren. In 1974, his acting prowess was recognized with a Filmfare Best Actor Award for his role in Kanyakumari, a Malayalam film. The awards became almost routine with the Tamil films that followed like K. Balachander’s Apoorva Raagangal which explored relationships with age-gaps, which was controversial in that era; 16 Vayathinile in which he played the role of a man who is mentally undeveloped and also Manmadha Leelai, and Oru Oodhappu Kan Simittugiradhu. He was part of several films directed by K.Balachandran and worked with co-stars like Sridevi and Rajinikanth. 1980-1989 The eighties saw him in Tamil films like Moondram Pirai and Apoorva Sagodharargal. He won the National Film Award for Moondram Pirai in which he played a teacher with Sridevi. His Telugu film in 1983, Saagara Sangamam won him the Filmfare Best Telugu Actor Award for his portrayal of a dancer. He also starred in the Hindi films Ek Duje Ke Liye and Sagar, the latter won him the Filmfare Best Actor Award, in 1985. The 1989 film, Pushpak, a silent film and a black comedy, won him the Filmfare Best Kannada Actor Award. 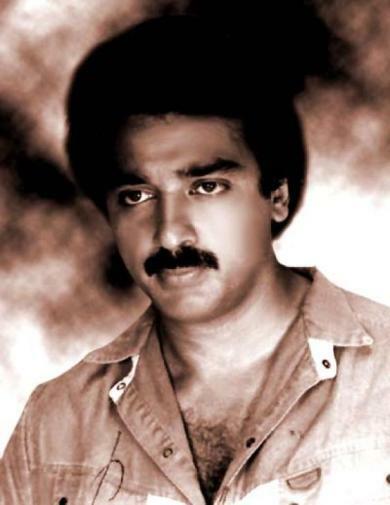 Nayagan, inspired by The Godfather, fetched him his third National Film Award. It was India’s entry to the Academy Awards’ Best Foreign Language Film category in 1987 and went on to be listed in Times Top 100 Movies. 1990-1999 The nineties saw a lot of laughs with films like Michael Madhana Kamarajan, Sathi Leelavathi based on She-Devil and Avvai Shanmughi based on Mrs.Doubtfire. In 1992, he produced and acted in Thevar Magan, for which he got the Filmfare Best Tamil Actor Award for his role of Shakti, the son of a village head. The film was nominated in 1992 for the Academy Awards’ Best Foreign Language Film category. Indian, a Tamil film released in 1996, saw Hassan walking away with his fourth National Film Award and The Filmfare Best Tamil Actor Award. He made his directorial debut with Chachi 420, a remake of Avvai Shanmughi in Hindi. 2000-2009 The year 2000 began with his second directorial venture Hey Ram, which was made in Hindi and Tamil. Hassan scripted, produced and acted in it. He won the Filmfare Best Tamil Actor Award, though the film was more of a critical success rather than a commercial one. He acted in quite a few funnies like Thenali, Panchathantiram and Pammal K. Sambandam. He played Nalla Sivam in Anbe Sivam with Madhavan. He directed, scripted, acted and produced Virumaandi in 2004, about death penalty. In 2006 he had a big hit in Vettaiyaadu Vilaiyaadu, in which played an honest cop. His most recent film in 2008 was the extravagant Dasavathaaram, in which he played ten different roles. He is currently working on his project Thalaivan Irrukiran, a film to be released in Tamil, Telugu and Hindi, for which he has penned the screenplay and is set to direct it, his love for multiple roles evident on and off screen. Check out the ASCII Art of Kamal Hassan in the Link Below. Use LUCIDA CONSOLE FONT for viewing art in notepad. Before viewing the art in notepad Just UNCHECK the WORD WRAP in FORMAT.Use font size of 3 to 4 pt.